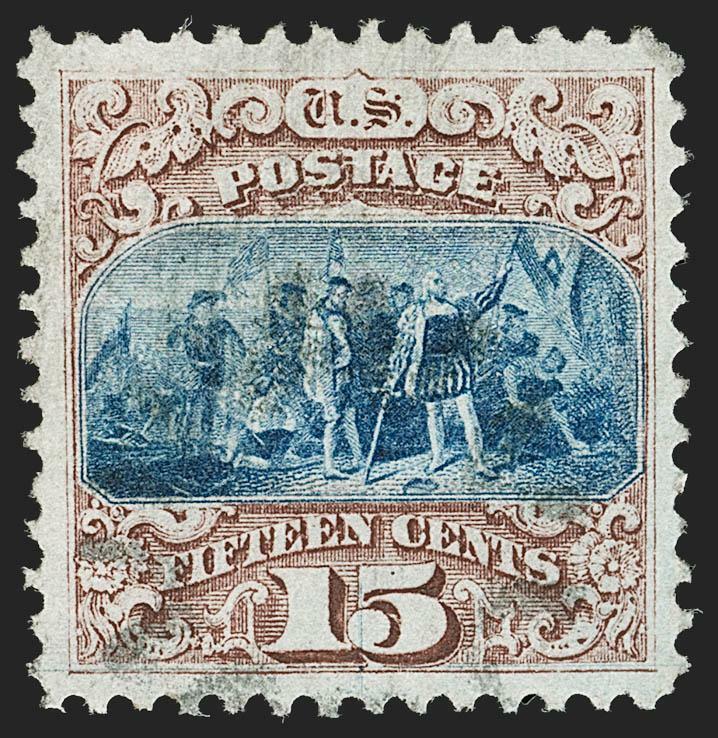 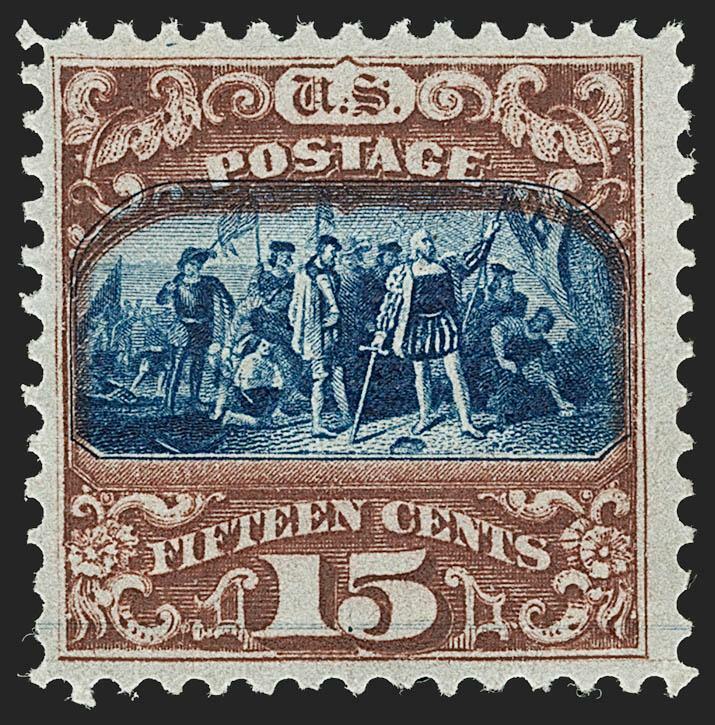 EXTREMELY FINE GEM USED EXAMPLE OF THE 15-CENT TYPE I 1869 PICTORIAL ISSUE. 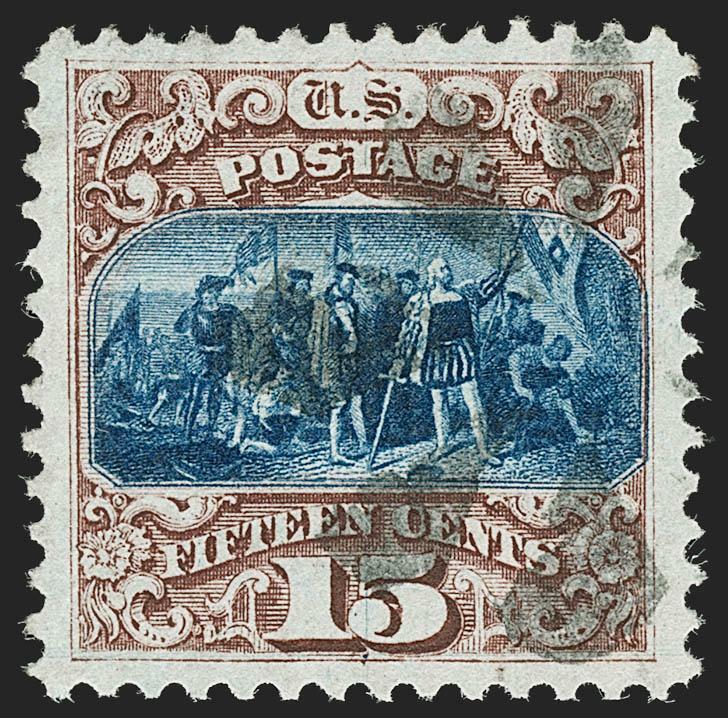 A SUPERB STAMP THAT MUST SURELY RANK AMONG THE FINEST EXTANT. 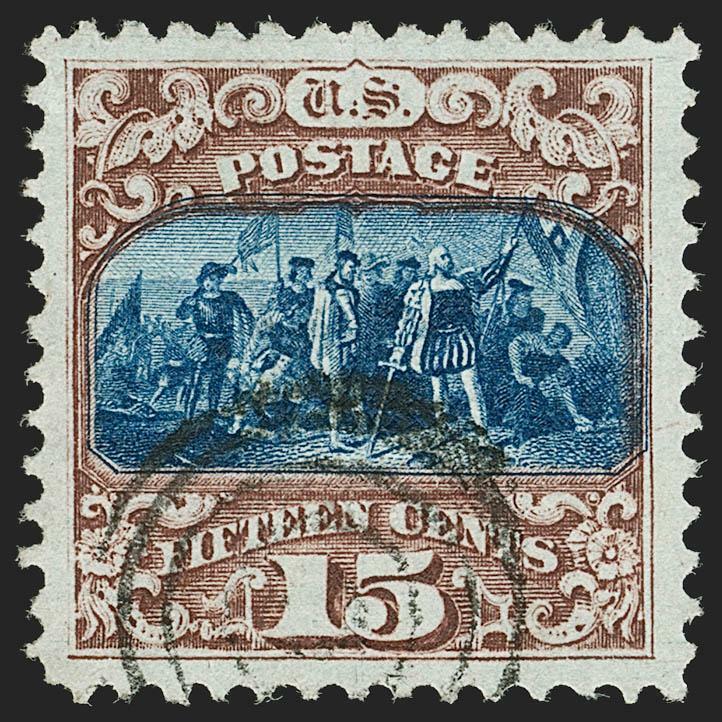 VERY FINE AND EXTREMELY RARE MINT NEVER-HINGED EXAMPLE OF THE 15-CENT TYPE II 1869 PICTORIAL ISSUE. 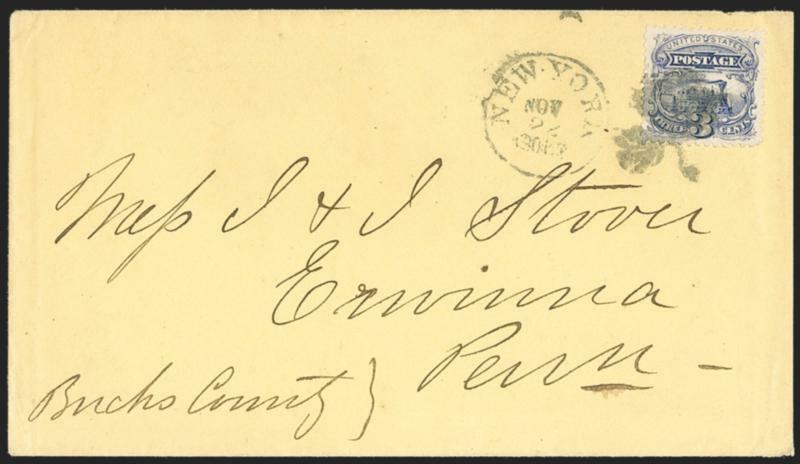 THIS IS ONLY THE SECOND MINT NEVER-HINGED SINGLE WE HAVE OFFERED SINCE KEEPING COMPUTERIZED RECORDS. 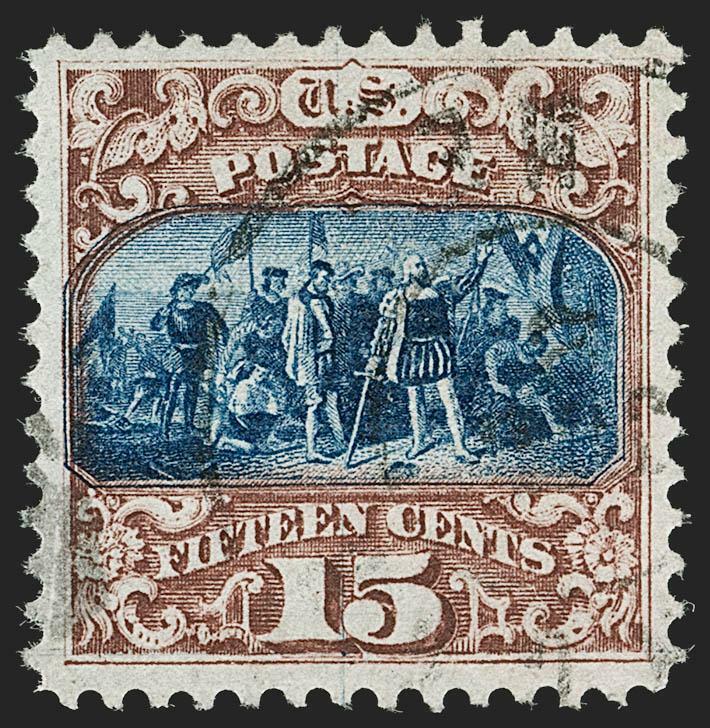 A PHENOMENAL RARITY OF THE ISSUE. 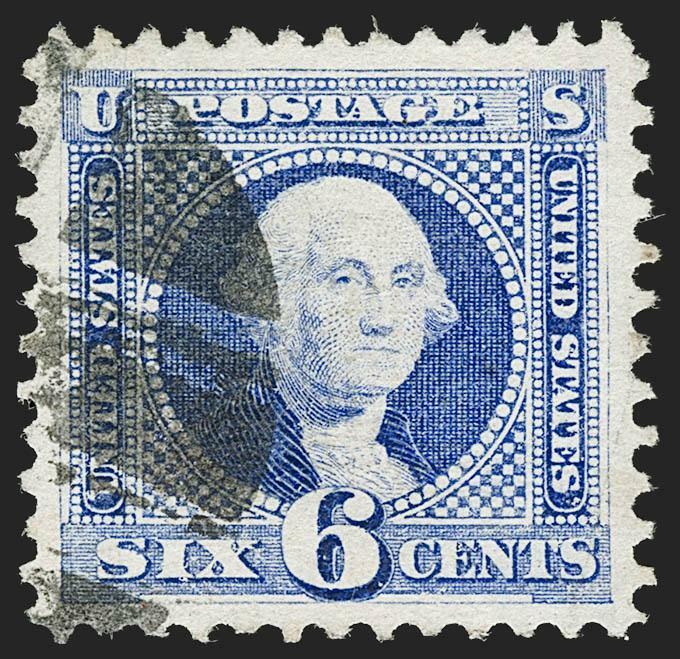 Large multiples of this issue do exist, and we have surveyed or sold most of them. 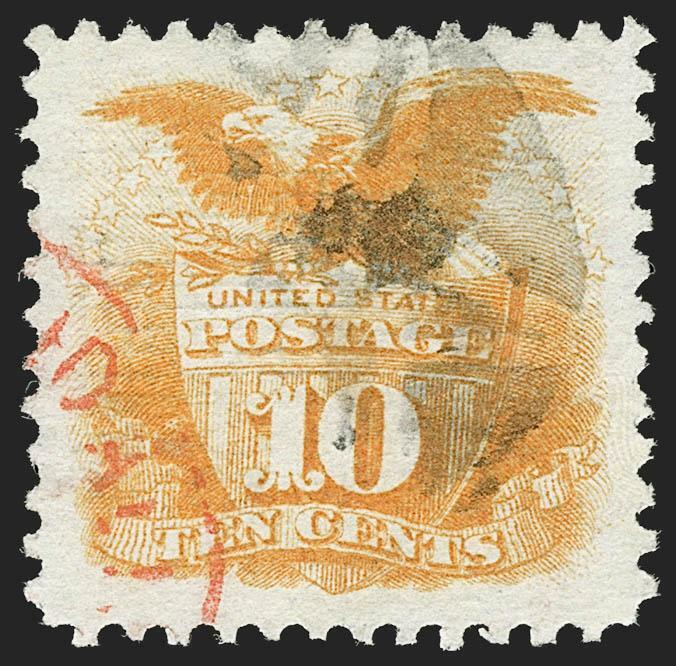 Several contain Mint N.H. examples, but they are invariably off-center. 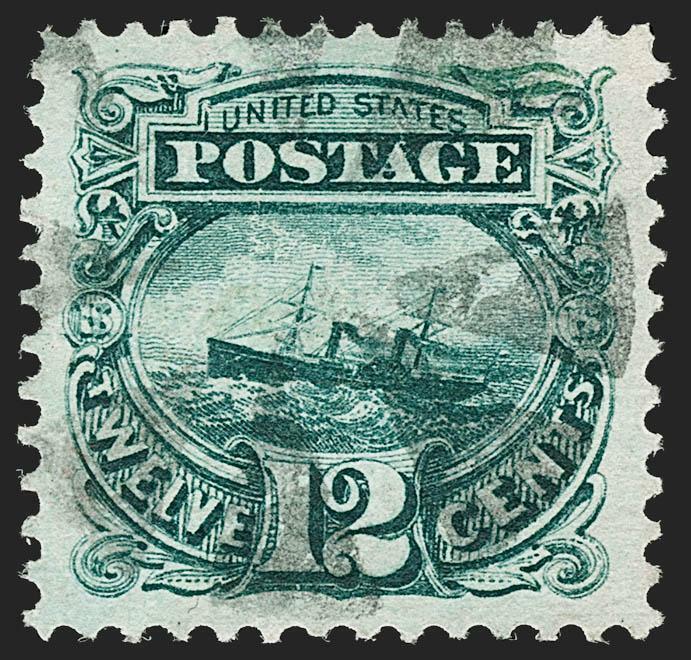 Most of the blocks containing Mint N.H. stamps are significantly off-center, with perfs at least touching or well into the designs. 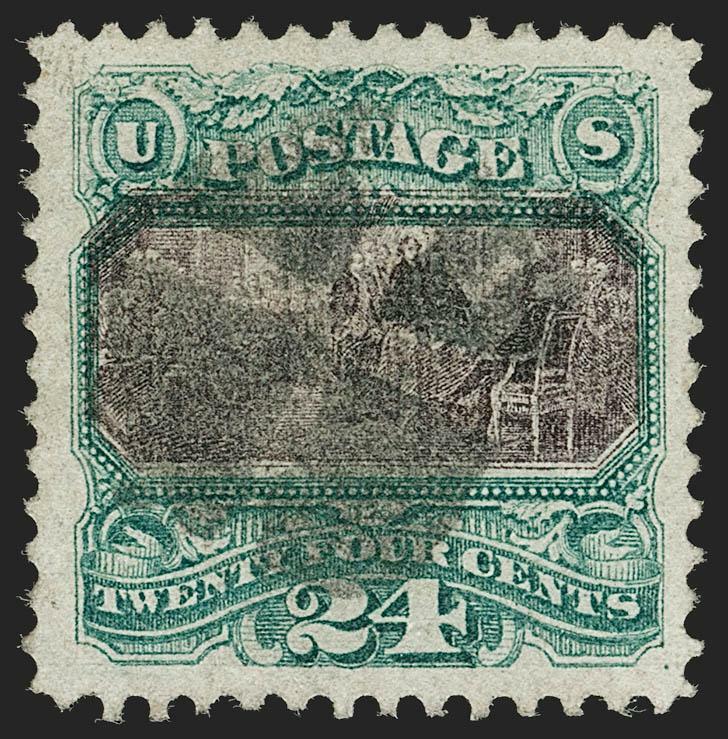 The one exception is a left selvage block of 20 which contains eight Mint N.H. stamps, last offered in our 2018 sale of the Wingate collection. 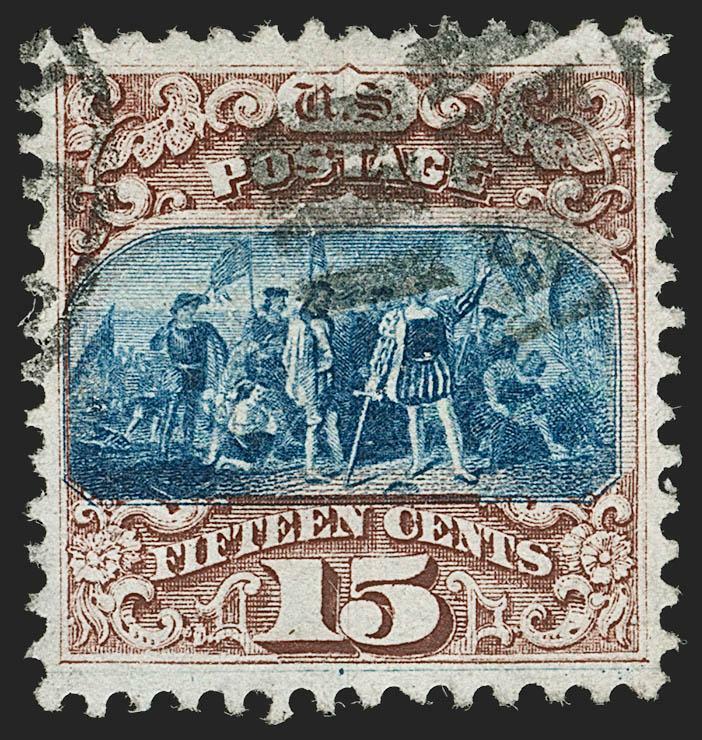 This is unlikely to be broken as it usually forms the linchpin of a great 1869 Pictorial or classic block collection, and is in such a collection today.